What about that friend of a friend who hops from continent to continent while their eCommerce store generates consistent revenue with little or no upkeep? Or the high school maths teacher who worked on a YouTube channel for a year before it became so successful it makes him money 24/7, enabling him to quit his job? Yes, of course, these people exist, but the question is; how realistic is it for the average person to generate significant passive income? And what routes are available for us to take? Not sure what we mean by passive income? Generally speaking, it’s a source of income that comes from something like a rental property, a limited partnership or another type of enterprise in which the person earning isn’t actively involved. People are earning money, even while they asleep! Whether you’re looking to make some extra dough with a side hustle, or you aspire to quit your day job and pursue something else here are 5 popular ways to generate passive income. What are the most common ways to generate passive income? So, leaving aside things that are high risk or that cost big bucks like investing in rental properties or stocks… What are the more accessible, budget-friendly means of generating passive income and how can you get started? Drop-shipping can be a tricky one but with the right products and the right marketing techniques, you could be making a living by doing very little. When it comes to drop shipping the majority of the work is in the setup. It allows you to choose a product from a source like Alibaba. You can then create a drop-shipping store where customers can order the products directly from the manufacturer via your site. This means you don’t have to get involved with the shipping at all. You set up the store, put up some nice images of the products, create a bit of a buzz around it and hope that your store is a hit. This will likely take some amount of trial and error but it’s certainly something to consider if you don’t have a huge amount of time and money to dedicate to creating an online store and managing orders and stock. Just about everyone has something that they’re good at or something they know a lot about. It could be cooking, fishing, makeup artistry, carpentry, computer programming or finance for instance. Whatever your passion is, you can use it to teach others and generate income. Start by asking yourself; what can I do to help others? Once you’ve figured out what you can teach, you’ll need a means of delivering the course. If you’re a dab hand at computers, you can probably put together an eBook or a video course. You can then use a site like Udemy or Lynda to upload your course. You could make a 6-week video course on dog grooming or an eBook on how to train for a marathon. There’s a lot of competition out there in the online world, so how you market your product will be a big factor in your success. Just remember to take into account; your budget (how much money can you invest? ), your lifestyle (how much time can you put into this project?) and your abilities (what can and can’t you do to make this project a reality?). There’ll always be someone who could use your help, who will be willing to pay for, you just need to figure out how to reach them. Need help filing your self assessed tax return? A YouTube channel is another great way to use your knowledge to help others. That being said, YouTube can also be educational or entertaining. People love consuming video; if we want to learn something, it’s quicker than reading a long article or a book. If we want entertainment on our daily commute or something to pass the time in the doctor’s waiting room, we’ll often watch videos on YouTube, Instagram or Facebook. With smart TVs making their way into homes around the world, YouTube usage has increased and people are now watching longer videos. Do you love film? Why not start a movie reviews channel? Passionate about politics? Start a political discussion vlog (that’s a video blog for those who don’t know). If you’re an avid gamer with a sense of humour, try live streaming your gameplay with witty commentary. (link to Twitch) Know a lot about crafts and DIY? Start a DIY channel. You get the idea. YouTube makes it easier than ever to build up a fan base. Do your research and take note of what works and what doesn’t. Set up a Google AdSense account and then ads will run automatically on your videos. You’ll then make money every time someone clicks on an ad. Oh, and Google Adsense can also be used on a blog if you’re camera shy. YouTube’s partner programme allows you to monetize on videos after reaching a total of 10,000-lifetime views across their channel. This is intended to weed out any illegitimate channels. This isn’t a problem if you invest time and effort into reaching this point. So, what are some ways in which you can improve your chances at YouTube success? 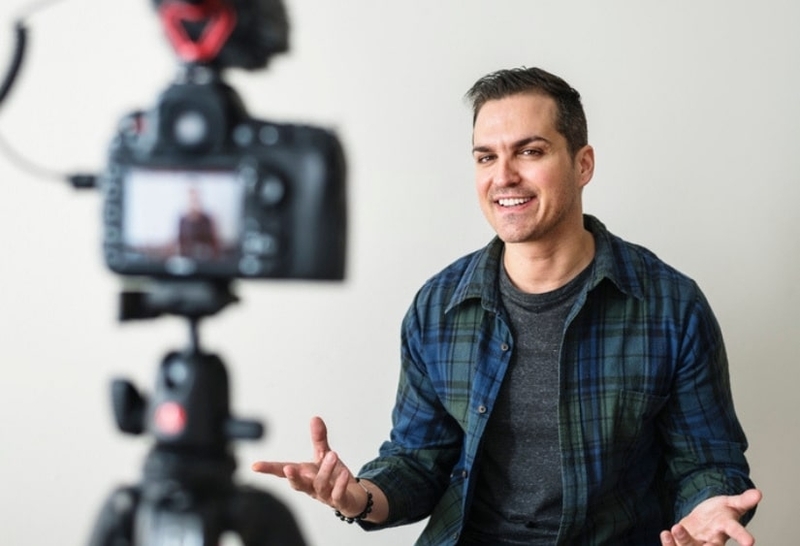 c) Research how to make good videos and if you can afford it, invest in some equipment to improve the quality of your videos. d) Know your audience. Always keep your target audience in mind. Stay up to date with what they’re searching for, what they like and don’t like and make content that meets their needs. You can do this by conducting some keyword research using Google Adwords or check out this super handy list of 10 Free Keyword Research Tools. e) Collaborate and create with other YouTubers/streamers or people who have large followings. You don’t have to be a die-hard book worm or an English graduate to write a book… and you don’t have to spend years hoping to get picked up by a publisher either. In fact Amazon have made it easier than ever to get published. Whether you’re the next J.K. Rowling and you have an inspirational novel in the works or you want to write about the latest in revolutionary technology or you’d like to publish a Mexican cook book, whatever you have up your sleeve, get writing and you can publish it for free. If you have an idea for a book be it fictional, educational, instructional, funny or whatever the hell else, you can easily turn that idea into some passive cash. Just keep in mind, Amazon take a cut of whatever you make from sales. There are guidelines that Amazon have set out for authors but they’re mostly to do with the technical details like formatting. You can find someone to format your book on sites like UpWork and Fiverr so look into costs before you decide to go down this route. Check out Amazon Kindle Direct Publishing here. Affiliate marketing has been around for years but recently more people are realising just how efficient it can be for generating passive income. Basically, you will get a link for a product, if you share that link and someone clicks on it and proceeds to buy that product (usually within a 24hr time period), you’ll get a percentage of the profits (usually 6-12%). One of the more popular channels for affiliate marketing is Amazon, however there are tonnes of affiliate programmes online for all kinds of industries, so find something that suits you. What are your interests? What kind of audience can you reach? Getting started with affiliate marketing means doing a lot of research but there’s endless free information on how to do it online. Oh and did you know that Taxback.com offer a partnership programme where you can earn commission? It could be a good place to start if you’re interested in choosing this path. If you’re brave enough to invest time, effort and money into attempting to generate passive income, just be aware that it isn’t something that happens overnight and you might not be successful with your first venture… or ever for that matter. We’ve been sold a dream by the successful online entrepreneurs we see popping up here there and everywhere. They push an idea of passive income being something that is easily attainable, but the fact is, it’s not that simple. In fact, there are very few people in the world who have become millionaires from doing diddly squat, despite what you might have heard. That lucky guy lounging on the beach probably didn’t get there by doing nothing. So, if you think that you’re going to get rich without lifting a finger, it’s not likely. Making money 24 hrs a day is no easy feat, otherwise everyone would be doing it! There are also other major responsibilities like managing your excess finances. Take taxation for example, when it comes to tax, passive income can be a massive pain in the behind. For instance, in the US, passive income has its own unique tax rate whereas here in Ireland, you may file it under your standard income tax or you can file it under self-assessed taxes, depending on what you earn. 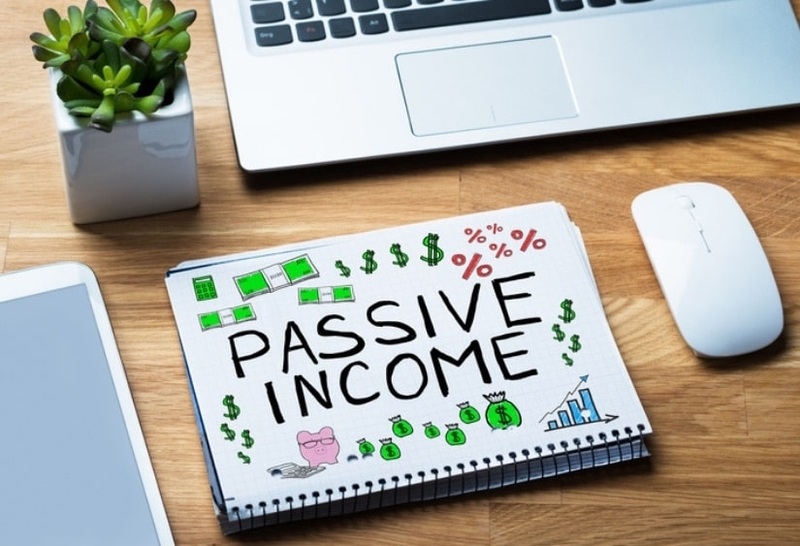 Chances are, no matter what part of the world you’re in, you’re going to have to figure out what the tax implications are associated with any passive income you accumulate. Most countries have some form of income tax so make sure you know what you’re doing before you end up breaking the law. Here at Taxback.com, we assist thousands of people every year with tax filing in 13 countries worldwide; US, Canada, New Zealand, Germany, Australia, Belgium, Ireland, UK, Luxembourg, Holland, Austria, Denmark and Japan. If you are generating passive income, or you’re planning on it, you can count on us to guide you through every step of the way when it comes to filing a fully compliant tax return. Contact us today to get started.